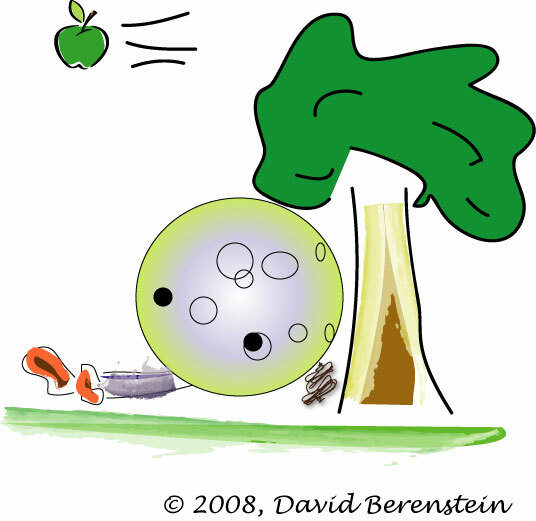 Alas, Newton discovers too late that one should not exchange apples and moons. Of course, this is probably just a fancy legend concocted after the facts to paint a more romantic picture of the discovery. What is true however, is that Newton had some hint of using a central force to explain the motion of the planets from Hooke. However Hooke could not solve the problem, and Newton had to invent calculus and differential equations to really solve this problem.